What are the best floor tile designs in the Philippines for a family? 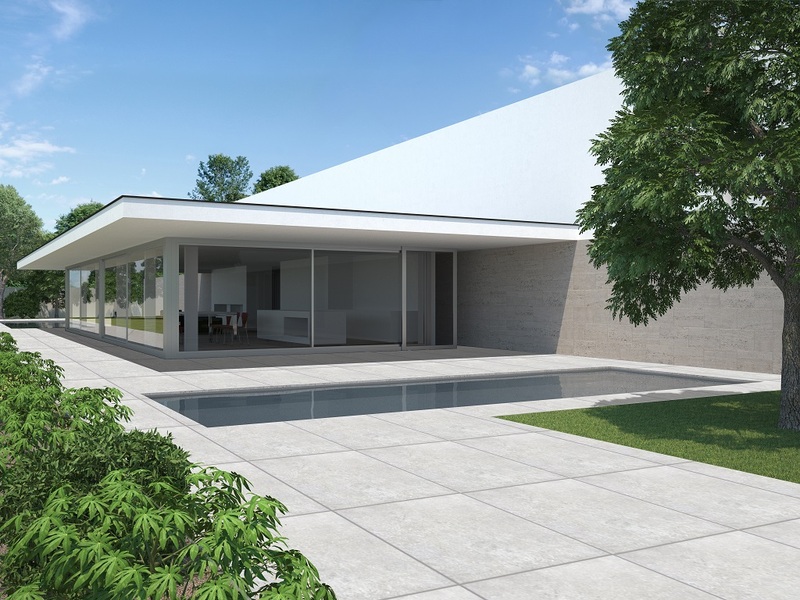 A lot of families want to have an elegant-looking home. They want the glossy floors, marble pieces, and silky cloths covering their beds and window. This is understandable because the act of going home from whatever engagement you can have has the ability to absolutely remove any leftover stress from the day prior. Yet, this regal environment can be costly. But, you do not have to bring all of these elements to make your home look grand. You can easily make your home look more expensive with just one element, such as the tiles design in the Philippines. 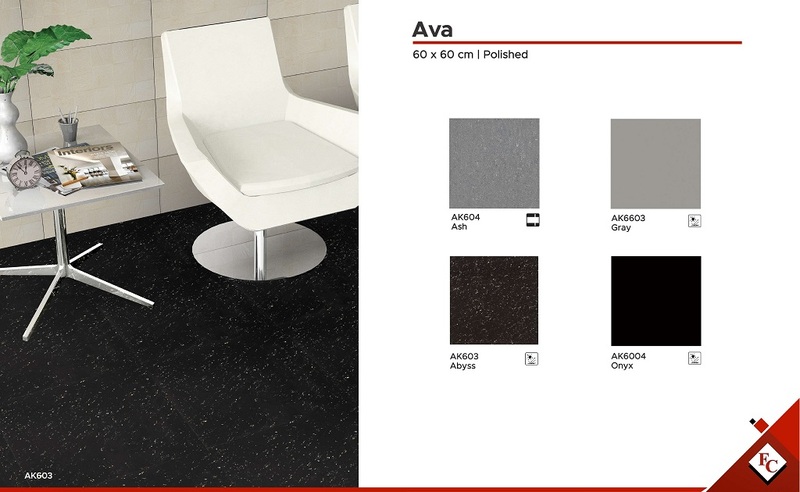 The 60×60 Ava Polished AK603 ABYSS can add the luxurious touch with its polished finish and black surface decorated by white specks. It has a classy color that will never go out of style. This Ava tile will look great in your living room. It will make the area look more spacious, attractive, and guests will appreciate its polished shine. 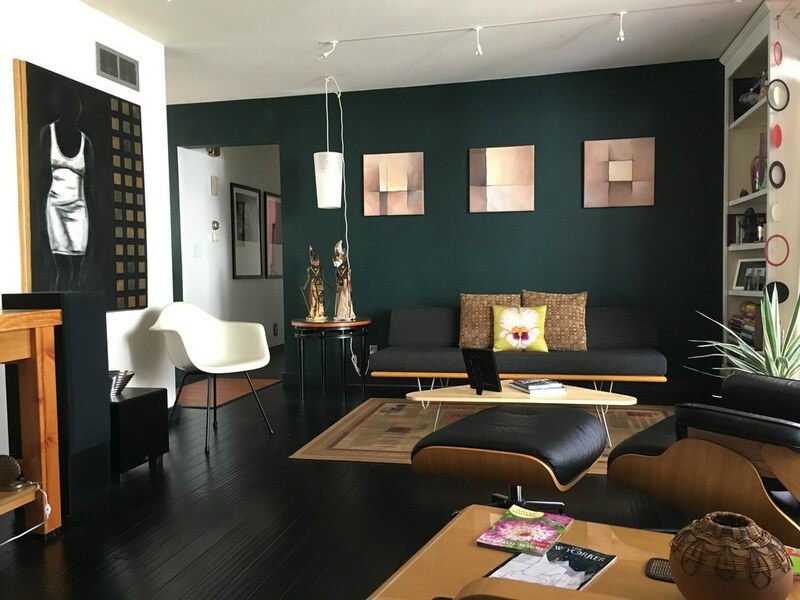 Modern interior design style, despite the name, is rooted in environmental basics. With this 20th century trend, modern rooms are filled with pieces made from wooden and natural elements. A lot of earthy colors, such as brown, are also prioritized. Since the modern style has German and Scandinavian design roots, it avoids being too detailed, as the saying goes, “Form follows function”. The walls, decor, and floors should have a function. In terms of geometrical patterns, lines are emphasized over curves. Overall, a modern space can be great for a family on a budget because it allows you to have a space that is simple yet fulfills your needs. You do not need to spend extra to look glamorous. 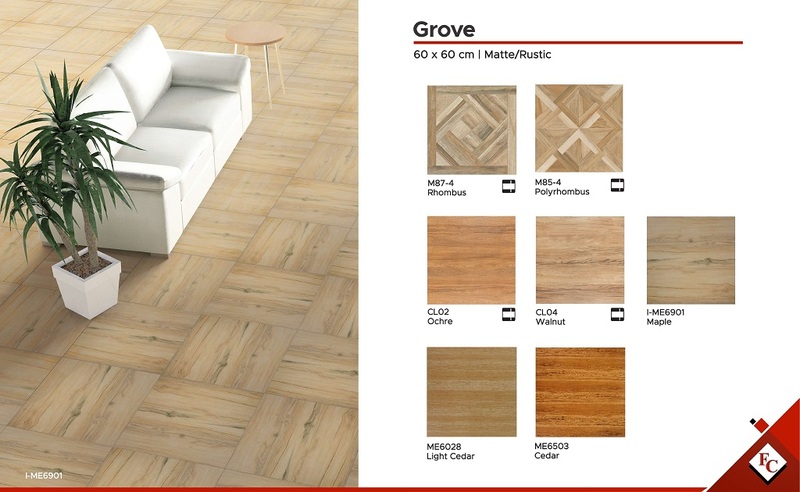 You can incorporate a modern interior element into your home with the 60×60 Grove ME6503 Cedar floor tiles. 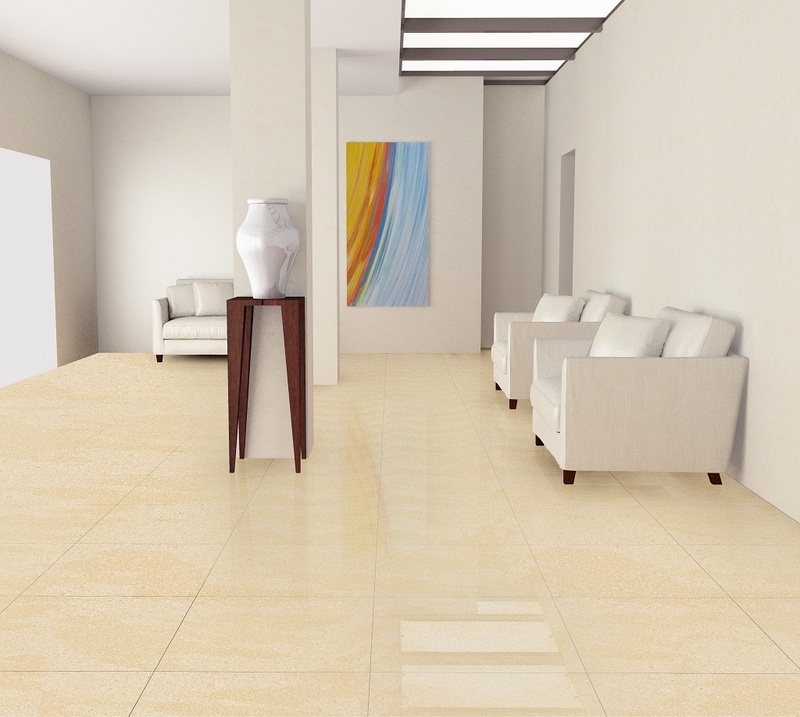 This tile is covered in earthy colors of brown and sandy yellow. It will remind you of the family picnics that your whole family enjoys under the trees. Since it is matte, it will easily hide marks made by your kids and pets. Overall, it has a simplistic design because it is a collection of vertical lines. Some families just want a home that is the epitome of relaxation. You and your loved ones may want to have a space whose sole purpose is to be a place of abode and sleep. This is where you see the family watching movies together and napping on the weekends. The easiest way to achieve a relaxing home is by covering the floor with a carpet. Carpets made a resurgence of popularity in 2019 because manufacturers are creating them in new textures, colors, and designs. One of the most popular for this year is the contemporary gray. It is comfortable and neutral enough in color to go with bold-colored walls. 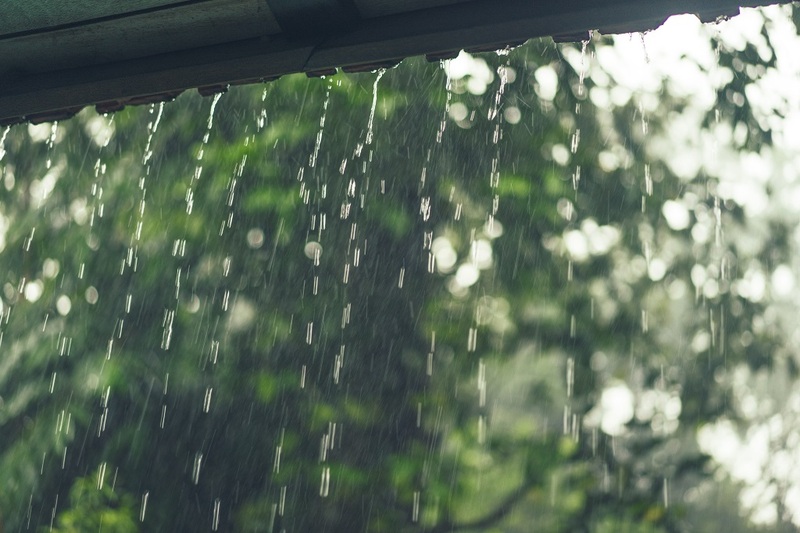 Yet, a gray carpet in each room of the house can be tiring because you have to worry about washing them regularly. Instead of getting a carpet, invest in a textile tile which replicates the look of that rug without the need for regular laundry. 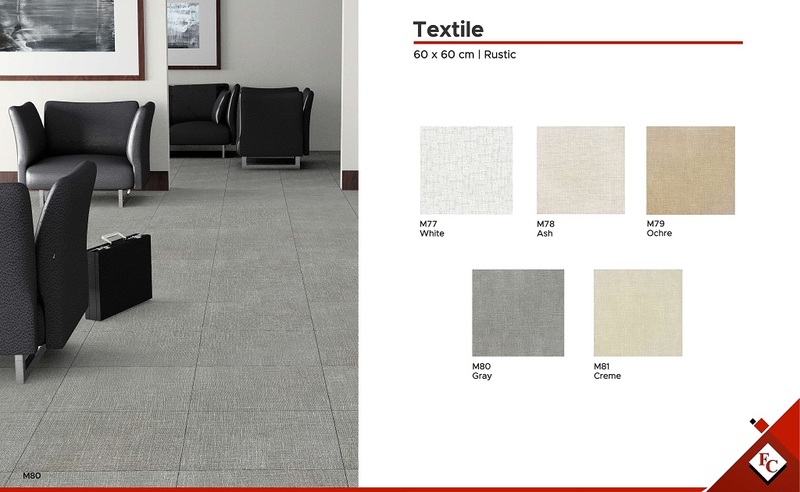 A gray textile tile your family will appreciate is the 60×60 Textile Matte/Rustic M80 Gray. 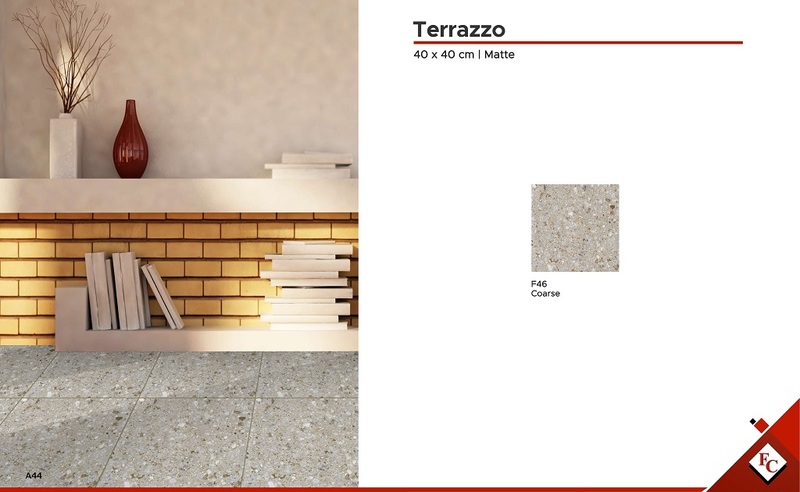 The 40×40 Terrazzo Matte F46 Coarse floor tiles combine different textures to make neutral colors look different and new. Terrazzo interior design emphasizes the artistic beauty that comes from putting together speckles of granite, quartz, and other natural stones in a one-colored base. Since Terrazzo trend can look too much for some people, it is best to display this artistic design through one major part of the home such as the floor. This F46 Coarse tile will surely dazzle your kids and visitors as its asymmetrical shapes of gold, white, and black swirl like a whirlwind on the gray background. Each of these Philippine tile designs can potentially serve your interior needs because these are all inspired by popular design styles. These design styles were able to make the homes of families before yours elegant, simplistic, comfortable, and artistic. Spend a day with your family by bonding over the best tile designs at an FC Floor Center branch near you! Click here to know which branch can help you in designing your dream home for your family.